Below is a full explanation on how to find Philips part numbers. Philips Main Boards; On the Philips main boards finding the exact P/N can be a bit of a confusing task as looking amongst the board you'll notice lots of number beginning with a '3', usually we advise the customer first finds the '3139' number which will be white printed onto the PCB, it can be usually found around the edge of the board or in some cases on the back of the board in the centre. It is important that you include all the number and the 'WK' part afterwards as well. 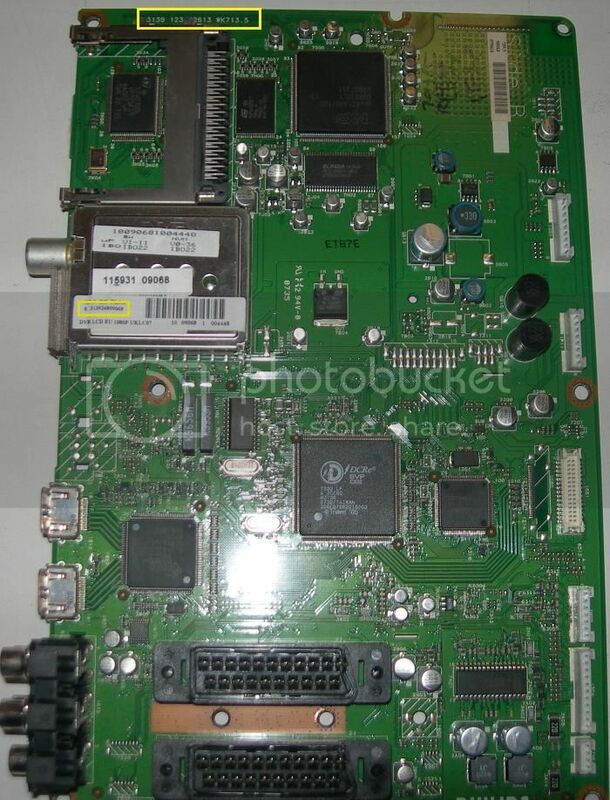 Also the serial number upon the board which usually occurs within a white sticker label is revelant, there is always an 's' before the '31' actual number. 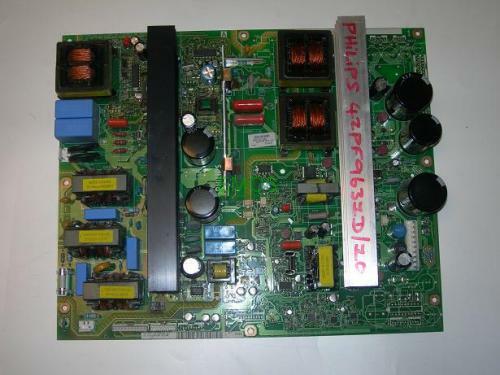 Philips Power Supplies: There is mainly two different types of Power Supplies for the Philips manufacturer, although they've started using Vestel boards within their sets, if you happen to have a vestel board within you're set that you're wanting to replace then check the Vestel information further below. 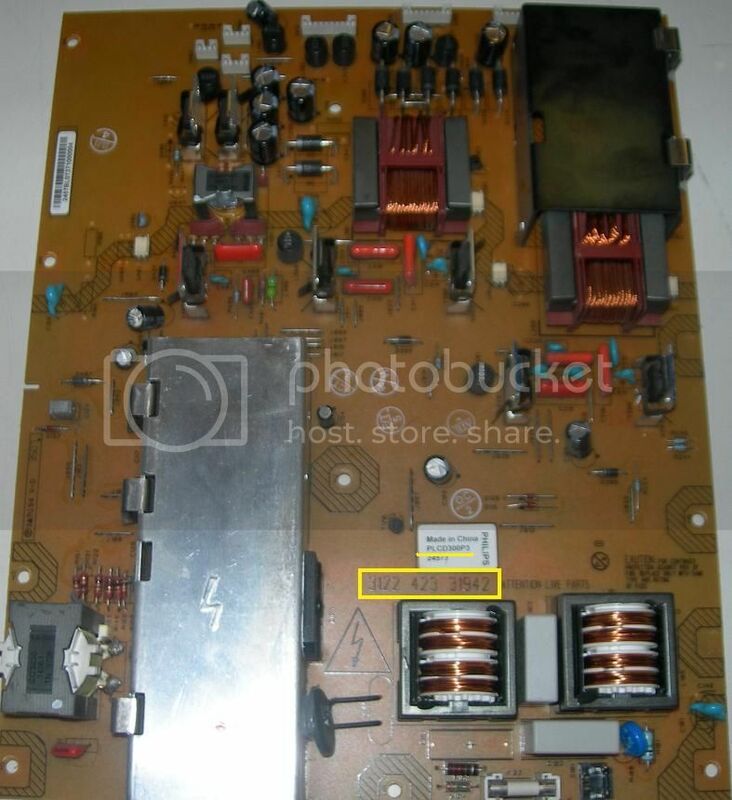 '3104..'/ '3122..', is the most common part number you'll be looking for on your PSU, if you spot the '3104' part number it is a very long number and it is important to make sure you search the number correctly, putting spaces within the search where needed. 'DPS-' On a lot of the more modern Philips sets this type of P/N is more common. However it is usually very ease to find as the boards are much smaller and also the number is much more basic.